We are expected to follow a set of unwritten rules. Sure, following them reduces chaos. Following them is safe. Normal. But we don’t have to be normal. We don’t have to earn a degree to make money. We don’t have to get married in our 20’s and have kids in our 30’s. We can wear tie-dye to a funeral and we can swear, dammit. I vividly remember the stern voice of a law school professor scolding me for not wearing hose with my skirt suit. She was grooming me for a career of dressing like every other woman lawyer. But guess what? Wearing a pseudo layer of tan skin over my bruised and banged up barrel racing shins does not make me a better lawyer or person. 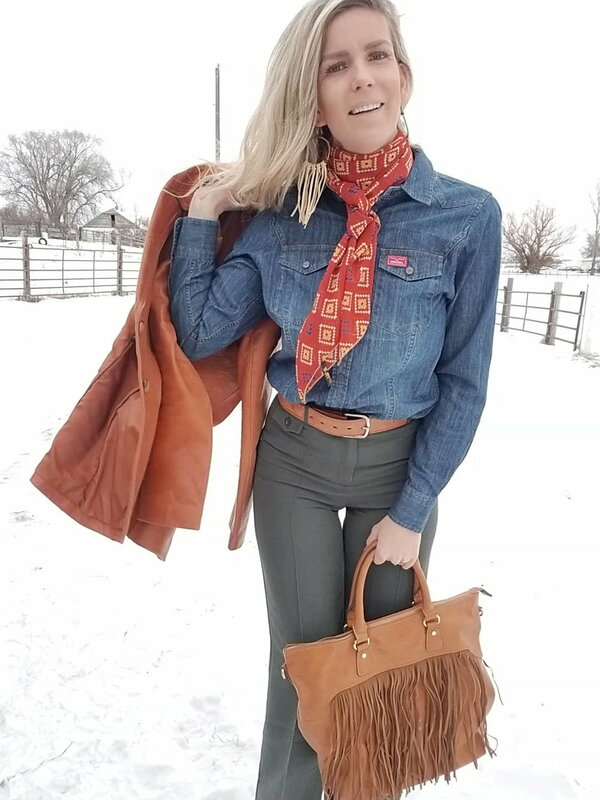 Fast-forward five years and, to my professor’s dismay, my court appearances are marked with cowboy boots and turquoise, denim collared shirts, leather jackets, vintage western belts and wildrags. I still won’t wear hose. And you know what? I’ve never been ticketed, fined, punched or called a bad person or lawyer because of it. So, the next time you think you must embody life’s unwritten rules, remember that the only thing you should embody is yourself. Just you. Green suit pants: NY and Co.